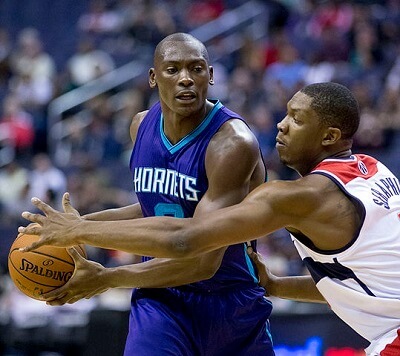 Get notified when Charlotte Hornets tickets are available! The Charlotte Hornets are an NBA professional basketball team founded in 1988. After a brief period in New Orleans, the team returned to Charlotte as the Charlotte Bobcats in 2004 and have been known as the Hornets since 2014. The team is in the Southeast Division of the Eastern Conference. To see the Charlotte Hornets play at home, you can head to Time Warner Cable Arena, which is situated in the Center City section of Charlotte, North Carolina. Large enough to seat roughly 19,000 people for basketball games, the arena opened in 2005 and has one of the largest scoreboards of any arena in the country. Get your Charlotte Hornets tickets today and see their big giant scoreboard for yourself!